Nevertheless, it is clear that taking professional regulated advice is essential. This includes if you have already transferred benefits to a QROPS and you are planning to move to another country of residence. I have been asked this question, more than once. Some clients are embarrassed to ask. Others have simply lost sight of their pension for one reason or another and have no idea how to track it (or them) down. Why am I telling you this? Well, recently the UK Government announced that there is over £400 million of lost pensions sitting with various pension and insurance companies in the UK – left behind by former employees who have either moved abroad, are unaware that they had a pension (it’s more common than you would think), or simply have not kept track of their pension. In fact, figures show that four out of five people will lose track of at least one pension over the course of a lifetime. That’s a lot of paperwork to keep on top of and to be fair, most people will only really think of their pensions when they are close to retirement. Which brings me to the second point. We can and do lose contact with the companies which administer our pensions. The most common reason for this is that pension and insurance companies have merged, and hence brand names have disappeared. For example, a company called Phoenix Life owns more than 100 old pension funds. Its list includes schemes from Royal & Sun Alliance, Scottish Mutual, Alba Life, Pearl Assurance, Britannia Life and Scottish Provident. This invariably leads to a lot of frustrated people looking for their money. It will perhaps surprise you that neither the Association of British Insurers nor the Financial Conduct Authority have a comprehensive list of which company owns which funds. OK, how can I track down my pension? Obviously, the more information that you can provide, the easier it will be to locate your money. However, we will work with what you’ve got to explore all possible options. Some companies are more efficient and responsive than others when it comes to handling enquiries on historic pensions, even when the original policy documentation is available. It can take years to locate and recover lost funds. You can fight the battle yourself; or we can pursue on your behalf until we get a satisfactory outcome. Another reason to review your work pension(s) is that transfer values for defined benefit, or final salary, schemes are at record highs. Depending on the company, valuations are higher than most people anticipate. For example, a pension projected to pay £8,000 per year could have a transfer value of over £285,000, well in excess the average house value in the UK! I’ve got my pension(s). What next? Depending on your age and circumstances, transferring an existing pension into a new scheme may be beneficial, including if you have more than one pension. Consolidating existing arrangements removes the need to monitor numerous pensions and, perhaps more importantly, allows you to optimise returns from a single, personalised investment strategy, often with greater flexibility over the timing and amount of payments and in your preferred currency. Ahead of any potential transfer, the first step is to determine whether a transfer is in your best interests. A responsible adviser will always complete a detailed and objective review of your current position and plans. A transfer may not be appropriate, for a variety of reasons – for example if it means the loss of valuable guaranteed benefits – so it is essential to consult only a suitably authorised, qualified and experienced adviser. A proper assessment will enable you to make an informed decision on whether a transfer is best for you. If you do proceed with a transfer, as part of the exercise you should also expect ongoing advice on matters such as investment performance and outlook, together with guidance on the suitability of the scheme following, or ahead of, a change in your circumstances. 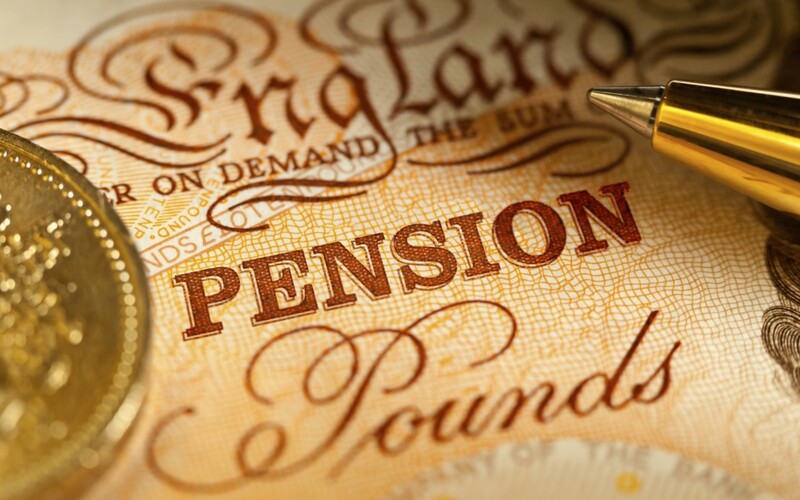 For help with locating and reviewing your UK pension(s), please contact me either by email emeka.ajogbe@spectrum-ifa.com or phone: +32 494 90 71 72. In Spain, there can be a huge difference in what autonomous regions charge for income, capital gains, wealth, and inheritance/succession taxes. Rules generally come from central government in Madrid but how that comes out in the fiscal wash in each region can vary considerably. For the purpose of future articles, my focus will be on the Valencian Community incorporating Castellón, Valencia, and Alicante. There is also an unwritten rule which seems to be rife. The law of opinion. On a subject that you would think there should be clear instruction from the Spanish tax authorities, there is a lot of ignorance on several tax matters and so the law of opinion kicks in. This is especially true for any products which are based, or have been arranged, outside Spain. With the threat of fines for not declaring assets and paying taxes correctly, it seems at least slightly unjust that there is not clear instruction on how different assets are treated for tax. As my colleague Chris Burke from Barcelona recently wrote, lump sums from pension funds can have special tax treatment, both in the UK and Spain. However, even though most people and their dog know that there is a 25% tax free lump sum in the UK, not everyone is aware that this lump sum is potentially taxable in Spain. Also, it is not common knowledge that there is a 40% discount on qualifying pension lump sums. It is likely that many people have overpaid taxes due to no or bad advice. Can you tell the difference between margarine and a Section 32 Buyout? If you can, you could be leader of the Conservative Party, according to the script of The Last Goon Show of All (Actually the comparison was between margarine and a lump on the head but the qualification would seem equally apt almost 50 years later). It is frightening what little knowledge there is with regard to pension schemes, notably with the advisers who make money for arranging them! A Section 32 Buyout plan is just one of many types of pension scheme which have emerged over the last 30 to 40 years. Few people are familiar with all the different types. A pension fund is, in many cases, the second largest asset behind a property. People are generally familiar with the property expressions such as “doors”, “windows”, “walls”, “kitchen”, etc. They know where these things need to go and when they need repair and maintenance. When it comes to pensions, it is a different story. In a way, that is great for us because it means people need advice. The problem comes when they leave themselves open to advice which is inaccurate, if not complete garbage. People need to check the qualifications of an adviser and their firm before exposing themselves to potential problems. I have the Chartered Insurance Institute G60 Pensions qualification. You won´t find too many advisers with this, especially not in Spain. As a company we have a team which is qualified and which keeps up to date with pension rules in the UK and Europe. All enquiries go through them before anything is arranged which should give comfort to those nervous about what will happen to their pension funds. There are conflicting stories on how much lump sum/one off amount can you take from your pension if resident in Spain and what the tax will be. Indeed, many people with UK pensions believe it is better to take their UK pension lump sum in the UK before (grey line here if they have already moved!) they move to Spain permanently, as they will pay less tax. Firstly, even if you have a UK pension but are resident in Spain, this has to be declared in Spain. Secondly, if you finished contributing before 2007 you actually can receive MORE tax relief in Spain than in the UK (dependent upon the pension you have and how you take it). To clarify, in the UK you can currently take a 25% tax free amount from all your private pensions and anymore would then be taxable. If resident in Spain, you have the right to take up to 100% of your personal pensions in one go (100% in capital), to receive part in capital and part through regular payments or to receive the whole amount through regular payments. If you receive an amount in capital (a whole or a part) then you can apply for a tax reduction of 40% of the amount received for any contributions you made prior to 2007. This option can only be applied once, so, if you have more than one pension plan, you have to receive all of them in the same tax year if you want to apply this reduction. To clarify, it is the value the contributions have accumulated to today that is tax exempt, not the amount of actual contributions made back then. From January 2007 there is no tax exemption, zero. Therefore, any contributions made from this point receive no tax exemption, however if the contribution to the pension runs before and after this date the tax exemption is calculated the same way. If you take the amount as a regular payment you will have to pay income tax as if you have received any other general taxable income (a salary for example). In both of these cases, the amount that is taxed (with or without the 40%) is subject to the general income tax rate. The pension provider already holds a P45 or up to date cumulative tax code received from HMRC as the result of previous withdrawals from that pension plan, and can apply it. If you take your UK pension as a 25% lump sum, this should be declared in Spain and would apply to the Spanish rules of 40% being tax exempt and the rest income taxable. You would therefore pay any tax owed in Spain. Only the FIRST Lump Sum is tax exempt so it’s important to realise that and make sure you plan effectively. From 2007 onwards there is NO tax exemption of this kind. When taking your lump sum, take it in the year that is most tax efficient for you, such as when you have lower income from other sources. Moving your pension outside the UK could give you more freedom, more choices and potentially less tax to pay in the long term (depending on your situation). As promised, I thought I would follow up with my last article on the complicated issue of trusts, with a less complicated issue of the tax treatment of pensions / retirement funds in Italy. The majority of my clients are nearing, or in retirement, and so pensions and retirement plans are very much at the forefront of your minds. For the likes of me, (I am 44 years old this year), I am in the accumulation phase and I need to concentrate on building as much capital as possible for when I get older when I need to convert my earning power into an income for life. There isn’t much to say about the accumulation phase, other than how the actual fund is treated for taxation in Italy, which I will touch on below. I will not be going into the more complicated area of taxation of Italian pensions since that is best dealt with by a commercialista. I also want to share some of the various tax stories that I have heard of in the past and clarify the situation. 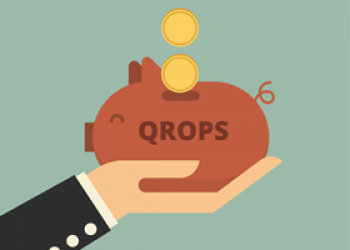 WHAT IS A PENSION AND WHO OFFRS THEM? A pension is a type of retirement plan that provides an income in retirement. Not all employers offer pensions. Government organizations usually offer a pension, and some large companies offer them and in the likes of the UK and USA you can have a personal retirement pension / plan. Most people, throughout their working life, will also be making National Insurance / Social securitry payments which go towards a national state pension as well. WHAT IS THE ITALIAN TAX TREATMENT OF EACH? I have sometimes been asked if the state pension or social security is non-taxable because it is covered under some kind of double taxation treaty. I remember this being a common question some years ago and wondered if a rumour was going around. Thankfully it hasn’t raised its heads for a while but for the record the state pension /social security of another country, payable to you as a resident in Italy, is taxable in Italy at your highest rate of income tax. If you have other sources of income in retirement then they are added together and the banded rates of income tax applied. Remember that the income types which are subject to IRPEF (Italian income tax) are retirement income, employment income and rental income. The Italian pension credit…….it’s not an allowance! This is another one of those mis-understood Italian tax benefits. (It would make sense that it is misunderstood because ‘Italian’ and ‘tax benefits’ are not words that often go hand in hand). However, if you are a pensioner (that means a pensioner at state retirement age and not someone who has retired early), then you might be eligible for a tax credit on pension income up to €8000 per annum. At this point I would like to say that this is NOT a tax allowance. It is not the first €8000 of pension income which is non taxable for everyone. That would be nice and has been proposed by some of the possible incoming political parties, but for the moment, not everyone is eligible to receive it. It means that where you have €8000pa retirement income and below, that you could be eligible for a full tax credit on that amount. i.e the tax is calculated at 23% and then that is given back in your tax return. The catch is that if you have more than €8000 in total retirement income per annum, rising to €55000pa then the credit is reduced (according to various quotients) to zero. The higher your TOTAL income is the less of the credit you will receive. A total income of more than €55000 per annum means no tax credit. This next category is a catch all for any kind of Government or Local authority pension, including Teachers, Police, Firemen, Nurses, Local Authority etc. In effect, where the local or national government of the pension in question is the administrator of the fund. In this case, if you are a non-Italian resident in Italy, then the pension is not taxable in Italy under the double taxation treaty but only taxable in the state of origin. So, for example. a British Firemen retired and resident in Italy will only have to declare the pension and pay any tax due in the UK under UK tax law. It would not be subject to Italian tax, UNLESS.. …., you are an Italian citizen, i.e have Italian citizenship.. An Italian national living in Italy would be subject to Italian income tax on their overseas local or national pension in the other state. So, in our example above the British fireman, after being granted Italian citizenship would then become liable for Italian taxation on his UK pension. This is something to consider when applying for Italian citizenship. Equally this would apply to anyone who has dual nationality, for example an Italian who has lived and worked abroad for many years and returns to Italy, or someone who has dual nationality through birth right. Private pensions do not, unfortunately, benefit from the same tax treatment as national or local authority schemes as described above and so they have to be exposed to the full wrath of the Italian income tax rates. They are added to your other income for the tax year and taxed at your highest marginal rate of income tax. However, I want to expand on this subject slightly, in relation to the subject of trusts which we touched on in my last article. Before we can accurately define how a pension is taxed we first have to understand its structure. In the case of a UK personal pension, occupational pension and/or retirement plans they are mostly set up as irrevocable trusts. This gives limited powers to the holder of the pension because although you can instruct the trustees to do whatever you want within the tax rules of the country in which it is operated, ultimately the trustee has the final say in what you can do. They wouldn’t normally refuse your instructions to withdrawal capital, for example, but theoretically they could. This is a technical point but one which helps define the taxable liability in Italy. Essentially, since the pension is a non-resident irrevocable trust, then the rules state that the fund itself is not taxed but any withdrawals would be taxed at your highest rate of income tax. An interesting point is that the fund itself needs to be declared for ‘monitoraggio‘ purposes and specifically your share in that fund. That creates a difficulty in something like a large pension fund e.g. Standard Life, when you need to express your share in that fund. To do that you need to know the value of the total company pension fund in which you are invested and express your fund value as a percentage of it. The truth is that this is almost impossible to find out accurately and so expressing a very low percentage is probably acceptable. I have heard stories from various people over the years that their commercialisti declare their UK pensions as ‘previdenza complementare‘, which loosely translated means complementary pension. However, the definition does not accurately complete the story here. The reason for declaring it in this manner is that it is taxed at a preferential tax rate of 15%. I must admit here that I don’t think is the correct way of declaring income from an overseas pension / retirement plan. The ‘previdenza complementare‘ is a vehicle used in Italy to complement the pension which is offered through Italian social security (INPS). You may argue that this has the same purpose as that of an overseas pension fund. However, this is where the similarities end. In the case of a UK pension fund your contributions would attract tax relief during your contributory life. In the ‘previdenza complementare‘ (PC) the fund is taxable during the life of the fund. The UK scheme is also not linked to the state scheme in any way and you can withdraw money from age 55 (personal pension) or scheme retirement age (occupational pension). The PC is linked to the Italian state retirement age. Lastly, since the contributions into a UK fund are tax relieved, then income paid in form of a pension is subject to income tax at the normal rates. The Italian PC has a preferential rate of taxation starting at 15% and reducing to 9% depending on how many years you have been contributing to the fund, once you reach state retirement age. In short there are some distinct differences which lead me to believe that declaring a pension fund / retirement fund (which is a trust) as a ‘previdenza complementare’ in Italy, in incorrect. If you are in doubt then speak with your commercialista. That is a basic review of the various types of pension / retirement incomes but is not an exhaustive list and various countries may apply different rules. You may need to check the double taxation treaty of your country for further details. However, all in all pensions are treated like other income, once in retirement and the fund needs to be declared, but not necessarily taxed in the accumulation phase. Pension Commencement Lump Sum Tax in Spain – How does it work? If resident in Spain, you have the right to take up to 100% of your personal pensions in one go (100% in capital), to receive part in capital and part through regular payments or to receive the whole amount through regular payments. If you receive an amount in capital (a whole or a part) then you can apply for a tax reduction of 40% of the amount received for any contributions you made prior to 2007. This option can only be applied once, so, if you have more than one pension plan, you have to receive all of them in the same tax year if you want to apply this reduction. Whether you are thinking about the amount of pension you want in the future or are approaching retirement, a pension health check might be the answer you are looking for. With the UK government bringing in autoenrolment (the process by where companies who employ at least 1 person have to make sure they save into a pension) which has been massively successful, it is clear that as the years go by and with people living longer, it is more important than ever to save for the future. A pension healthcheck is your chance to ask general questions, be proactive and start planning for your retirement. Every year that you don’t start a pension, the amount of money that you will require becomes a lot more expensive for you to achieve, due to the effects of compound growth. The UK population is projected to continue growing, reaching over 74 million by 2039. It is also getting older with 18% aged 65 and over and 2.4% aged 85 and over. In 2016 there were 285 people aged 65 and over for every 1,000 people aged 16 to 64 years (“traditional working age”). Years ago, people generally retired at 55 and perhaps lived until 66/67 meaning 12 years of retirement income. Now, retirement starts at 60/65 and the average life expectancy is Europe is around 85. So mathematically, you can see the issue, which is why 89% of final salary pension schemes in the UK are financially in trouble: their calculations were not initiated on this model of retirement and life expectancy. This is debatable for many circumstances, particularly in Spain where you do not receive tax relief on large pension contributions. Many years ago it was different, when you could put tens of thousands of pounds into a pension and receive tax relief, or a company paid into it for you. However, in today’s world most people don’t fall under this scenario. What IS the answer to retirement planning? Make sure any assets you own work for you, including rental properties, investments, inheritances or money saved regularly. Yes, you can receive tax relief on money you save into a pension purse, however, this money is usually blocked (except in the case of critical illness or disability) until you are allowed to have it and has to always act like a pension, i.e. less flexibility and adhering to pension rules. Annual yield:annual rental, divided by property price, x 100 = 5%. Is the rent high enough given the amount of money invested? Can you reduce the costs of running the property, i.e. maintenance/agency fees? If they have been managing it for a while and there isn’t too much for them to do, ask them to ‘sharpen’ their pencil. More often than not they will, as they won’t want to lose the regular income you provide them. How are these performing? Dividend paying shares (that is those with the payments /bonuses given to you, reinvested) historically are one of the best performing investments (including property). Are you currently saving into a pension and if not, what are you doing instead (as I said above it doesn’t have to be a specific pension purse). Have you accumulated more than one pension, if so what are they all doing, how are they being looked after and where might you be when you retire? What are they invested in and how are they performing? When you have gathered all the necessary information (or the advisor can gather this for you with your authority), you can then sit down with a professional and talk through your options and what journey your life might take. You can also look at maximising your National Insurance contributions (a mathematical no brainer in many people’s circumstances, even if you live outside the UK) and planning what you can do to make sure moving forward you are maximising your assets and turning them into a comfortable retirement. €200,000, achieving a 6% net return over a 27 year period would achieve 1 million Euros…….with good advice, planning and consistent reviews.